Charles recieved a BA in Music at the Metropolitan State College in Denver and did his graduate work at Denver University. He studied with Jesus Silva, John Southerland, and Elizabeth Buday. He also took master classes with Christopher Parkening and Jose Tomas. 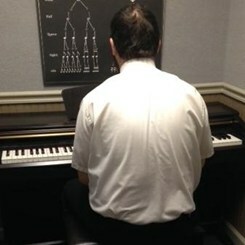 He has been teaching for 40 years, the last ten of which at Music & Arts. He was an artist in residence with the North Carolina art counsel and community colleges.